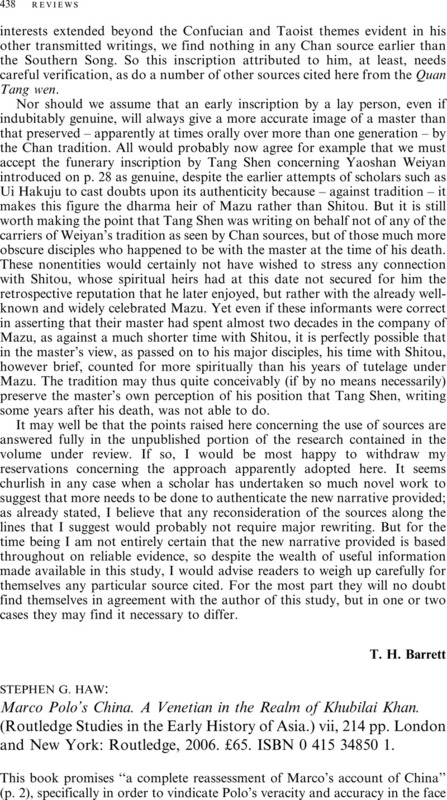 Stephen G. Haw: Marco Polo's China. A Venetian in the Realm of Khubilai Khan. (Routledge Studies in the Early History of Asia.) vii, 214 pp. London and New York: Routledge, 2006. £65. ISBN 0 415 34850 1.